What is CUI Controlled Unclassified Information NIST 800-171? MSSPs can Now Deliver the Most Advanced, Accurate, Best of Breed Data Security. GTB's MSP Alliance program for Managed Service Providers and Cloud Hosts is where partners can leverage GTB's Data Protection solutions utilizing their DLP that Works Platform as an SDK, OEM or White Label. The GTB MSP Security Alliance offers several programs and levels of participation to provide a custom framework for service delivery. CASB (Cloud Access Solution Brokers), Cloud Providers, MSSPs, MSP, and SaaS providers can easily deploy DLP / Data Protection for their customers, thus giving them full control of the data types that are allowed to move to or from the network, endpoint and the cloud while blocking data that is prohibited. The GTB MSP Alliance program enables you to access GTB solutions and provide services under your own brand and to manage licensing, policies, and reporting for products across all your end users. GTB's Data Protection products provide unprecedented, real-time visibility and control of content – without performance degradation. ; allowing partners to enhance their relationships by selling value-added solutions that generate a continual service revenue stream. 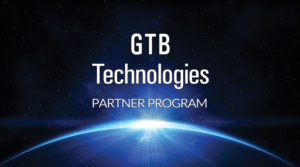 GTB's MSP Alliance Program is growing daily and provides a unique opportunity to sell the most technically advanced Enterprise Data Loss Prevention System on the market. Now is the best time to grow your services and get into the expanding cloud data protection market. We offer comprehensive Sales & SE training and certification for your entire team; enabling you to accelerate your technical and business sales activities, without having to be dependent on other resources. Become indispensable to your customers. You can emphasize the "VALUE" in your business model by using our DLP Download, right out the door; as part of a pre-sales, fee-based service that gives your customers quick, Enterprise-grade, unprecedented real-time visibility into moving data and user behavior on their networks. Are you interested in Cybersecurity updates? The Content-Aware Data Protection Co.
All Products and Services are protected in the U.S. and elsewhere by trade secrets, pending patents, and US Patents 6757717 , 8776206.